When it comes to knowing how to find your dream home, Sami has developed a unique system to search and finalize your home buying process in the smoothest possible way. 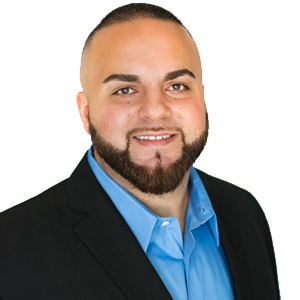 As a Jacksonville native specializing in residential homes, Sami works with Red Door Realty Group, a brokerage with over 20 years of experience that will make the closing process a breeze. At a young age, Sami learned business entrepreneurship by helping his family businesses succeed. He quickly understood the value of money and achieving customer satisfaction. During that time, Sami finished his degree in Respiratory Care and discovered his passion for serving his community and saving lives. With almost a decades worth of experience in the medical field as a Respiratory Therapist in the ICU and ER, Sami holds closely the importance of living life to the fullest. With his genuinely passionate care for human life in the medical field, you can trust that you’ll be in good hands in your search for the perfect home. Highly motivated and family-oriented, he believes in the client’s right to the enjoyment of homeownership and receiving the best side of the deal within transactions. When you have Sami and his team on your side, you have their knowledge, trust, and integrity working for you.